(Dan Trimmer, 2000). (El Desperado x Calico Jack) Tetraploid 40” 6” Sev. 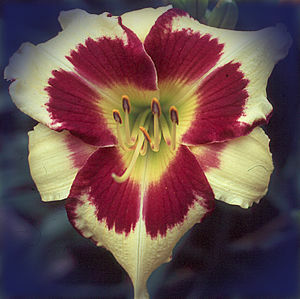 Late, Re This late blooming hardy, vigorous, introduction is a large, tall cultivar with 35-40 buds and a dark yellow face with a large plum eye. 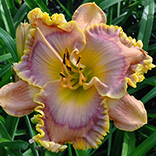 Having been a northern gardener for so many years I appreciate daylilies that “do their thing” in the latter part of the season when the overall bloom is on the downside. AUTUMN JEWELS not only blooms late, but has a long bloom season and then reblooms into the fall even in its new Florida home, where it is as happy as it was when first discovered on Long Island.